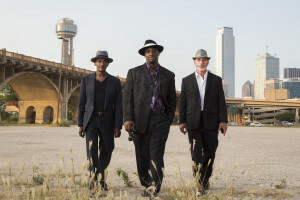 Coming off its world premiere at the Tribeca Film Festival in New York, Meltzer’s latest film, TRUE CONVICTION, takes a look at a new detective agency in Dallas, Texas, started by a group of exonerated men with decades in prison served between them who look to free innocent people behind bars. The film will screen as part of the award presentation on Saturday, June 3rd at 7pm at the Roxie Theater in San Francisco followed by a moderated discussion between Meltzer and film critic Michael Fox and a post-screening hosted reception next door at Mission B.A.G. (Bad Art Gallery) at 518 Valencia Street. Meltzer’s documentary films have been broadcast nationally on PBS and have screened at numerous film festivals worldwide. His past films include: INFORMANT (2012), about a revolutionary activist turned FBI informant, which was released in theaters in the US and Canada in Fall 2013 by Music Box Films and KinoSmith; OFF THE CHARTS: THE SONG-POEM STORY (Independent Lens, 2003), about the shadowy world of song-poems; WELCOME TO NOLLYWOOD (PBS Broadcast, 2007), an investigation into the wildly successful Nigerian movie industry; and LA CAMINATA (2009), a short film about a small town in Mexico that runs a simulated border crossing as a tourist attraction. Meltzer currently teaches in the M.F.A. Program in Documentary Film and Video at Stanford. SF DocFest will also present a retrospective screening of Meltzer’s first feature documentary OFF THE CHARTS: THE SONG-POEM STORY (2003) which is a fascinating, at times unsettling, film that exposes the strange underworld of the song-poem industry. Following the screening Meltzer will join film critic Michael Fox to discuss his career in a moderated discussion.